Physiologist Turner (The Extended Organism) addresses a tricky question: if trial-and-error Darwinism rests on solid research and plentiful evidence, and Intelligent Design is little more than religion's hollow Trojan horse, from where does the ""self-evident design of the living world"" spring? Taking on ""modern biology's most glaring blind spot,"" the ""phenomenon of design,"" Turner argues here that design is a true physiological force that works organically, in accord with DNA, to produce ever more environments ""upon which homeostasis can be imposed."" 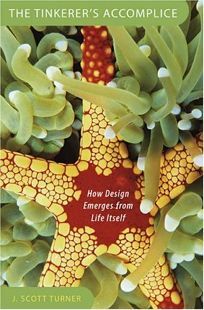 He makes his case in a way that's as scientific as any biologist's, using thorough research and enlightening illustrations to demonstrate how, for instance, gut design is shaped ""as much under the influence of 'foreign' organisms as it is the organism itself."" He also uses pop culture analogies (including Spiderman comics and Terry Gilliam's film Brazil), a friendly voice and personal anecdotes, making this a largely welcoming science book-though he occasionally lapses into technical language when simpler speech would do. His unwavering passion for the topic, combined with a sharp focus, makes Turner's latest ideal for science types, design lovers and anyone who's unashamedly analytical about everyday life.